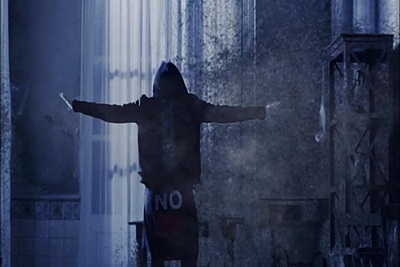 2PM makes a comeback with their new album simply entitled No. 5, and it has stolen my heart. It’s classy and mature, closer to their third album Grown which I always consider as their best Korean album. I’m proud that they’re back with another musical achievement, an album that is solid and brave enough not to follow the trend. The MV for the title track My House lies more on a beautiful visual presentation instead of the choreography (a common formula for K-pop MVs). The MV blends several fairy tales, from Beauty and The Beast to Snow White, into a well-cinematographed narrative about the female lead Cinderella who has to go home when the clock strikes midnight. But before she goes home, 2PM members tease her so she will stay, or to be exact to come home with them (naughty 2PM is naughty). However, if fairy tales commonly portray women as passive and weak, this Cinderella is different. She intentionally leaves her glass shoe on the stairs. She will come home for now, but she expects 2PM members to find her. A twist to the fairy tale, and to me it’s an act that shows woman’s agency in a relationship/a potential relationship. Do we need to talk about how the members look so good in the MV? Oh yes, we need to! They all look dashing in suits, especially Jun. K who slays the Victorian tie. Their outfits in the dance part are actually simple but the colours make them look flamboyant. I also love the shoes that they wear, giving casual hints to the whole look. Now JYPE, give us the dance practice MV and we’ll be the happiest Hottests ever. I instantly fall in love with My House upon the first hearing. Composed by Jun. K, this song is different from other title tracks because it’s not a powerful dance track, which people often anticipate from 2PM. Instead, My House is a medium tempo song with acoustic guitar sound through the whole song. 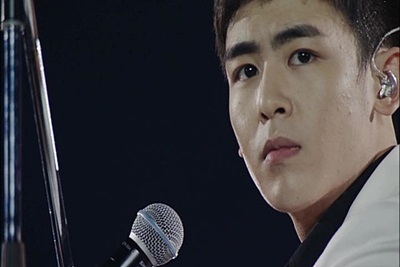 Each member plays their part well, even Nichkhun sounds comfortable singing his lines. To be honest, it’ll be hard for 2PM to win music shows while Big Bang and EXO are still promoting, but I pray hard they’ll get the appreciation they deserve. It’s time for K-pop to pay attention to more music and less controversy. Categories: music, review | Tags: 2PM, K-pop | Permalink. June almost ends, and it means we’re reaching the mid-year. 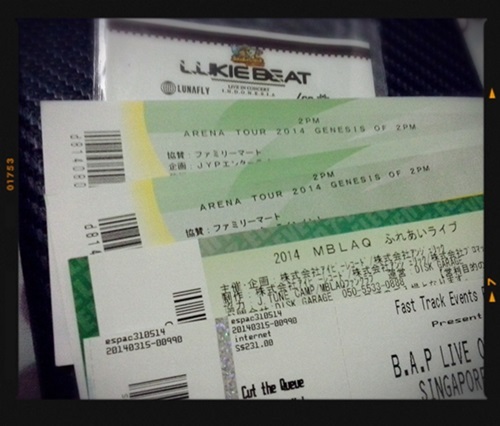 Concert-wise, I had great fun in the first half of the year. I didn’t have the chance to go to a lot of gigs, but the ones I’ve attended were all fun and unforgettable. So here’s the short recap of each concert! I wasn’t a fan of Lunafly and LC9. I knew Lunafly because some people in my timeline were fans, and I happened to be familiar with LC9 because of King’s hair. But since I got a free pass, I thought, why not? The fact that the venue was unusual (a theme park!) also gave me another reason to go. It took approximately one and a half hour to go to the venue, and it was raining on the way there. When we arrived, we were greeted by the cold breeze. The rain kept falling while we’re waiting for the concert to begin. The rain caused me to feel a bit grumpy, but Lunafly and LC9’s performance made me forget the terrible weather. 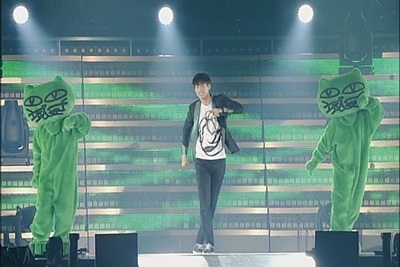 Both groups performed whole-heartedly and gave fans their best. Unexpectedly, LUKIEBEAT was fun! 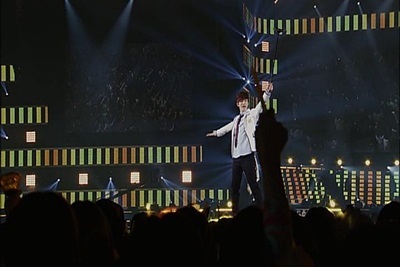 After failing to see them in Jakarta and Bangkok, I finally got to see 2PM in Tokyo. It’s my second time watching a concert in Japan, yet this one was special since Tokyo in March was FREAKING COLD. Anyway, from technical aspects, the lighting and the sound of the concert were awesome. Not to mention the grand opening VCR! I remember I gasped watching it hahaha. I was also glad I could see Wooyoung again, even though after what had happened I wasn’t that excited anymore hehehe. It’s too bad Jun. 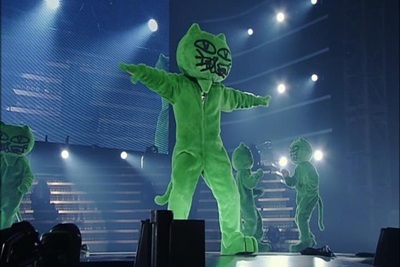 K and Taecyeon were not really fit at that time (I blamed their schedule for this). Although it’s only a release event of their new single, I enjoyed it since I had been missing MBLAQ after their concert in Jakarta in 2012. The boys were lovely as usual, especially Mir my Energizer bunny! Lee Joon also looked super gorgeous, my sister and I kept commenting how he shone that day! Actually there was a high-five session after that if you bought the single. But but but I didn’t prepare money for it so I had to slip it. UGH I SHOULD’VE TAKEN THE CHANCE TO TOUCH JOON’S PALMS. THIS is seriously one of the best K-pop concerts I’ve ever attended. I enjoyed every moment of B.A.P’s performance, and the concert has left me with mixed emotions. I was happy, excited, proud and touched at the same time. So far only two concerts that managed to make me feel like this: TVXQ’s Catch Me World Tour in Hong Kong and Live on Earth Singapore. Okay, this might sound embarrassing but I did sob hard on my friend’s shoulder after the concert. Like I said, too many emotions in my chest at that time. I guess my only way to express them was by crying hahaha. Categories: concert, music, review | Tags: 2PM, BAP, LC9, Lunafly, MBLAQ | Permalink. 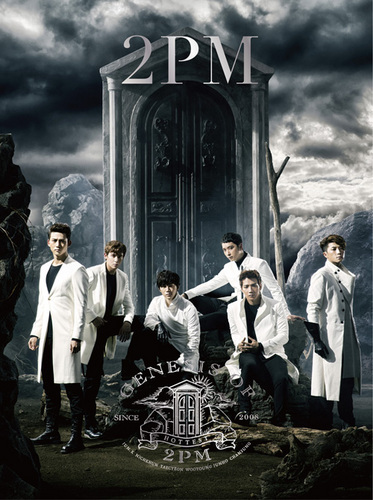 It took lots of scratching out, revising and editing to write the review for 2PM’s Japanese third album Genesis of 2PM. After listening to the album for the first time, I immediately wrote down my impression. 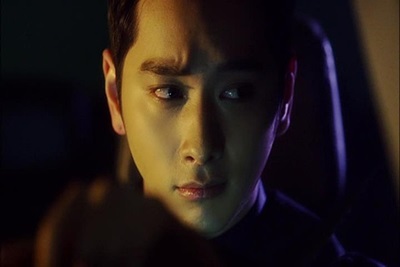 But then I decided to re-write everything because after several more listenings and discussions with fellow Hottests, I changed my mind about some aspects of the album. It’s obvious that Genesis of 2PM was intended to be a grand record, as we can see from the album jacket and the outfits the members wear in it. The album has also been promoted massively. Newspapers, huge posters in the middle of the city, pillars on train stations, special drinks: all are decorated to promote Genesis of 2PM. This huge promotion has built a certain expectation but does the album live up to it? Answering this question is, of course, not easy since fans have different levels of expectation. My own answer is, no, this album does not meet its expectation, and this review will elaborate that answer. If you listen to the songs randomly, you won’t find any problem since each song in GO2PM has precious elements to listen to. The first single Give Me Love combines dance beat with guitar sound, and the result is a very stylish song. Then another single Winter Games wins for its emotion and construction. However, if you try to follow the flow and see it as a unity with one solid concept, this is where the trouble appears. Following the formula of LO2PM with The Legend (and way back in 01:59 with My Heart), GO2PM begins with Taecyeon’s monologue in Genesis. Thunder, rain and choir build this epic atmosphere. Just imagine that the grand door in the cover is opening wide, and you’re taken to go through that door. That’s how Genesis works for me. The grand image promised in Genesis exists in songs like Merry Go Round and Lasting Heart. Composed by Wooyoung, Merry Go Round is a rock song that has an interesting transition from verses to reffrain. 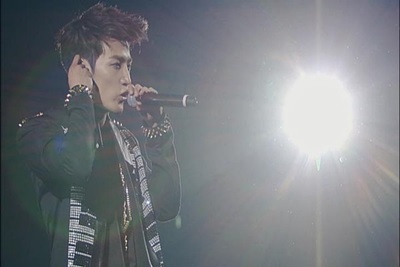 Moreover, it’s always nice to hear Jun K’s rap. I just wish that real drum set was used instead of drum machine. It would bring bigger audio effects. Meanwhile, Lasting Heart is a huge song adorned by a collosal orchestra. It’s perfect for an anime soundtrack. Unfortunately, Falling in Love, Only Girl, Beat of Love, I Want You, Step by Step and Stay Here sound too distant from the other songs. I love all songs that I just mentioned but to me they are too sweet and groovy for such a heavy concept. Let’s take Only Girl as an example. With its brass section and beautiful melody, this song sounds closer to Grown. I Want You is an exciting track too. The marching drum sound for the intro is lovely , then the song elevates gradually into an upbeat track. Although in terms of rhythm I Want You is very dynamic (the verses, the reffrain, the bridge and the rap have different beats), the transformation goes smoothly. But back to my previous argument, these songs don’t connect with the vision of the album. 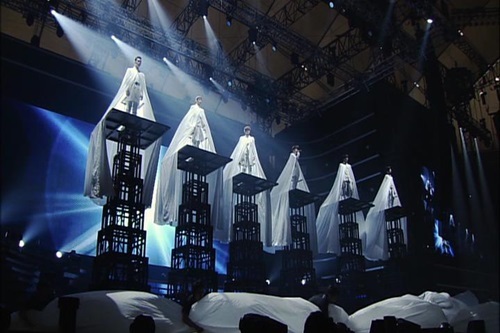 Despite the absence of an integrated concept, Genesis of 2PM actually contains strong and remarkable tracks. Although the 80s-ish beat in Next Generation is a bit tacky, the song is enjoyable. I still think Stay Here is very charming with its New Order-influence. 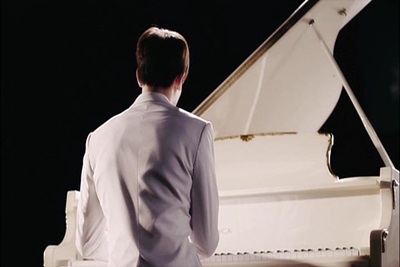 It has a gentle flow, right emotion and tender piano sounds. Stay Here deserves more attention since it is such a beauty. The disco rhythm in Falling in Love can also be found in Beat of Love. It’s a happy song that will make you jig. 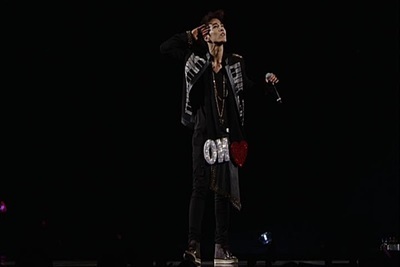 My favourite part of the track is the reffrain, in which Wooyoung does his part nicely. Surprisingly, there isn’t any pure ballad song (which seems to be a must for any pop album) in Genesis of 2PM. We have the heart-comforting Beautiful Day though, and it’s fine enough to close the album. Probably dramatic concepts are suitable for Japanese market. 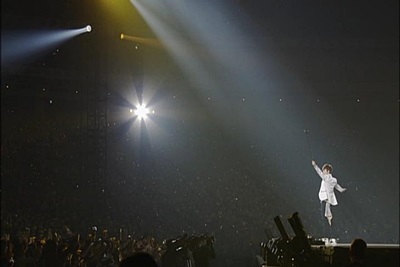 Nevertheless, I personally think for their next Japanese album 2PM should make things less pretentious. Embracing and developing the simple and mature sound will be a significant accomplishment for their career in Japan. It takes a skillful art to be modest and outstanding at the same time, but seeing what they’ve achieved in Stay Here and Give Me Love, 2PM only need a little practice to master it. 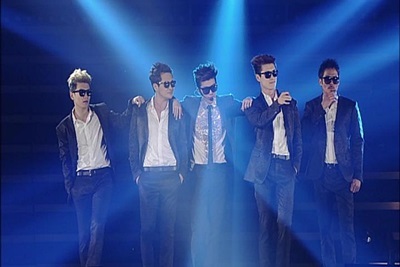 Categories: music, review | Tags: 2PM, Genesis of 2PM, K-pop | Permalink. “Why did you write so much about 2PM?” some might ask. The simple answer would be because they always give me this inspiration to write. Since I started my fangirl’s life in my teenage years I’ve always expressed my enthusiasm and appreciation through writing in my personal diary. During my college days, I wrote even more because the major that I took trained my writing skill. That’s when I began writing reviews on music. I used to be an avid reader of Q magazine and NME as well and they kinda motivated me to practice my writing skill. Back to the original question, why 2PM? 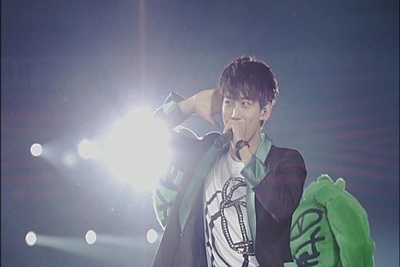 I think in the past two years, 2PM has developed greatly in terms of music and performance. I’m amazed and thrilled witnessing that, and to express those emotions, I write in my blog. Although I love these boys so much, I try not to be blinded by it and try to view their music in a (almost) fair perspective. If, for example, they do well, I’ll give them credits they deserve. On the other hand, if I don’t like one of their songs, I’ll say it with reasons. I believe honesty in judging their works will help them develop even more, and nothing excites me more than seeing them improve in what they do. Flaws exist in 2PM’s careers, and it means there are still tons of things they need to study. But I guess that’s what makes me enthusiastic, unable to take my eyes off them, and keep guessing what they’re going to deliver to their fans next. 2PM’s unpredictability is one of the reasons why I love them after all. I’m learning to be a good writer and reviewer and will always be learning. 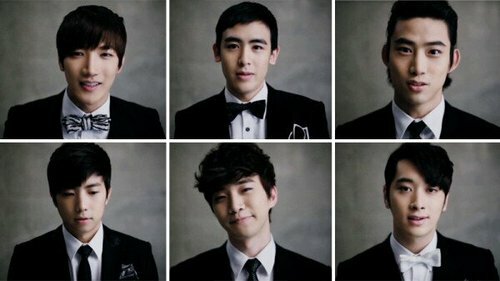 And I’m thankful in this process of learning I have 2PM who always inspires me. 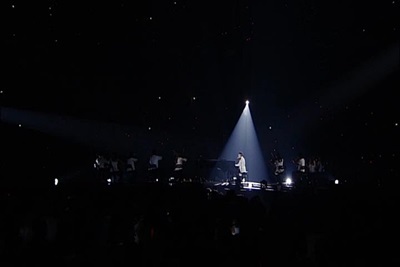 Categories: music | Tags: 2PM, little thoughts | Permalink. 2013 has been a good year for music. In Korean pop scene, many albums offer new stories, various sounds and memorable songs that deserve high appreciation. I think GD’s Coup D’Etat is an excellent achievement, so is f(x)’s Pink Tape although sadly it doesn’t receive the attention it should have deserved. Despite the plagiarism issue, B.A.P also has done well for their two mini albums, One Shot and Badman. I can say I enjoy VIXX’s Voodoo and SHINee’s The Misconception of Me as well. Nevertheless, there are only two albums that have a special place in my heart. They come from two different genres and scenes, but each is great at its place. 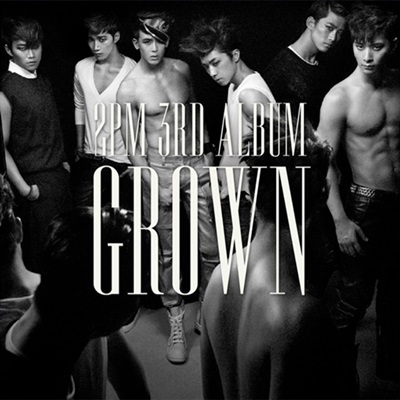 It’s obvious that the third album Grown is a declaration from 2PM that they’ve, well, grown. Instead of ‘grown’, I’d rather say that 2PM is growing. They’re currently in the process of evolution from idols to musicians. Even though they still relied on JYP’s songs for their promotional singles, Grown shows that each member is able to contribute something to the album production. It also gives us some of 2PM’s best songs such as A.D.T.O.Y, Zero Point, Game Over and Dangerous. Despite the opinion that says Grown is a failure, I’d say it’s an accomplishment for its musical development and determination. A transitional phase is never easy, and changes are not always well-received. 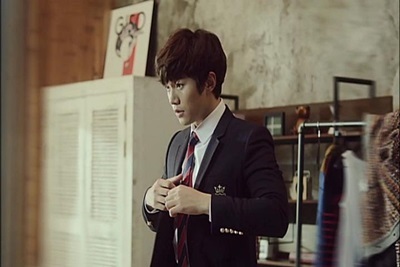 However, Grown confirms that with their talent and willingness to always learn, 2PM will do well. Read my full review of Grown here. In Youth!, the duo Glen Check keeps the formula from their previous releases. The electro-pop and the 80’s sounds are still there, but this time they’re polished with more catchiness. It’s just a very enjoyable album and truly represents the dynamic spirit of youth culture. Starting with The Match Open, which is an epic opening song, Youth! continues to entertain my ears until the last track, Jordan. My favourite tracks are mostly in the first half of the album, the part they call the band-session part. 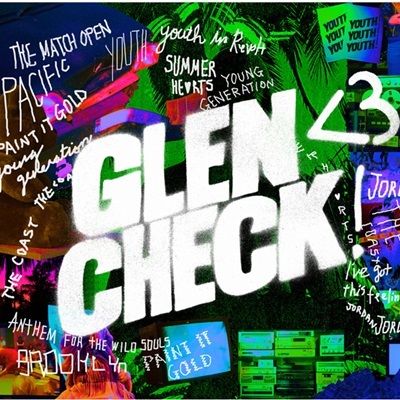 Pacific is a colourful, summer-y song, Paint It Gold gives refreshing sound to Glen Check’s music with its violin-like sound, and Youth in Revolt is a tribute to New York punk funk scene. In short, Youth! is fresh, energetic and attractive. With other acts like The Koxx and Eastern Sidekick, Glen Check reminds us that Korean indie scene is something we don’t wanna miss. Categories: music, review | Tags: 2PM, 2PM Grown, Glen Check, Korean music | Permalink.